“The Planners” series is a portrait gallery of people using various planning systems to manage work, family life, personal projects and much more. The goal of this new serie is to give you more inspiration and to introduce you to new planning methods and tools beyond the bullet journal system. 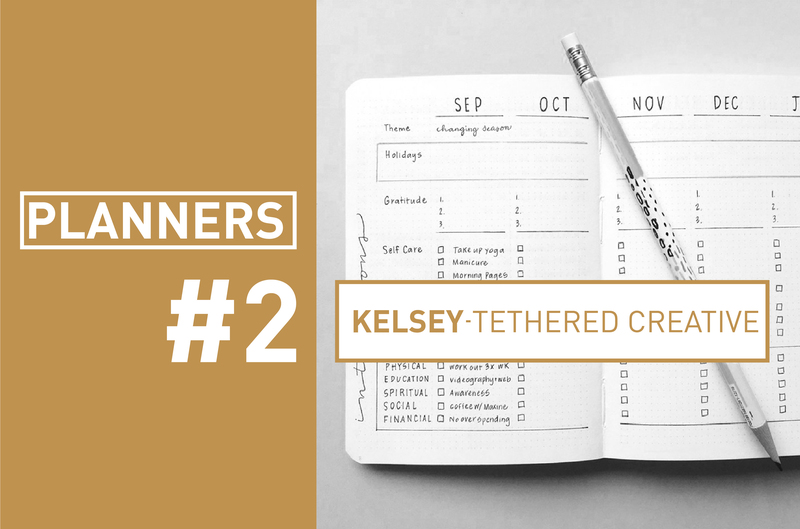 For this second post of the serie, I’m happy to have Kelsey from @tetheredandtold on the blog! 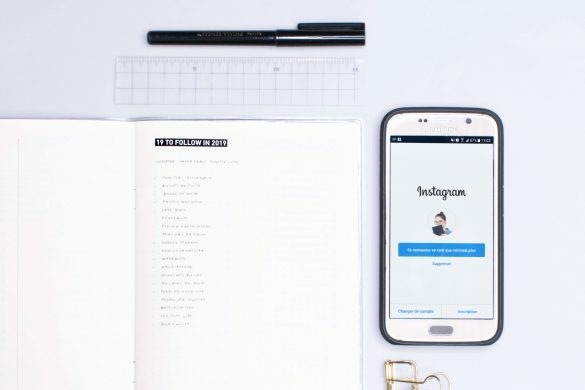 I’ve been following her work on Instagram for a while now and she was kind enough to answer all the questions I had about her planning system. In this interview, I’m asking her, among other things, how she manages her projects, what she learned using a planning system and what’s her current favourite planning tool. Full Disclosure: All the pictures featured have been taken by Kelsey. 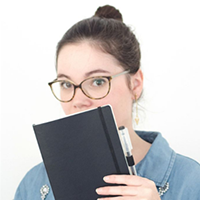 My name is Kelsey, and I’m a freelance writer and brand designer living and working in a seaside town in the city of Hong Kong. This year marks my 4th year living in the densest city in the world, and it’s been a fantastic experience. It’s hard to mark a typical day for me, because as a freelancer, you tend to have a lot of variety in terms of clients and types of work. But for the sake of a straightforward answer, I usually start my day around 9 or 10 after a slower morning (coffee, breakfast, yoga if I have the energy), and I attempt to do my most important tasks early on followed by less important tasks. For day’s end, I’ll usually stop working when I’ve accomplished a few bigger tasks, and if there’s time, I love taking a walk by the sea, as I live just a short walk from the pier. Evenings are for my husband and I to unwind together and debrief our days. Usually we play with our cat to keep her entertained, too. My life lately has been a departure from the norm, but on an ideal day I’d sleep around 10:30 pm with a planned wake-up time of 6:30 or 7:00 am the next day. I’ve had planners and journals for as long as I can remember. All through primary school, I would get a planner issued by the school, and I never quite liked the design or the layout. 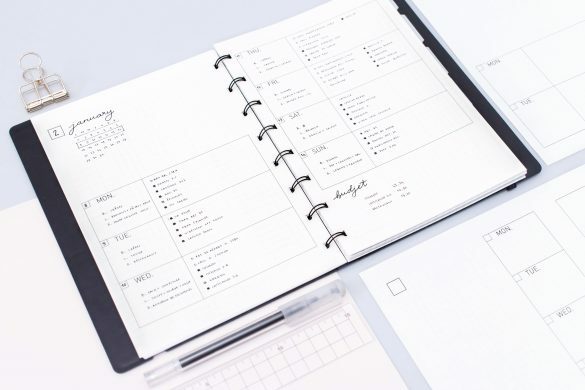 Later on in secondary school, I began searching for the perfect planner, buying a different one each year and being disappointed when I was inevitably unable to use it. 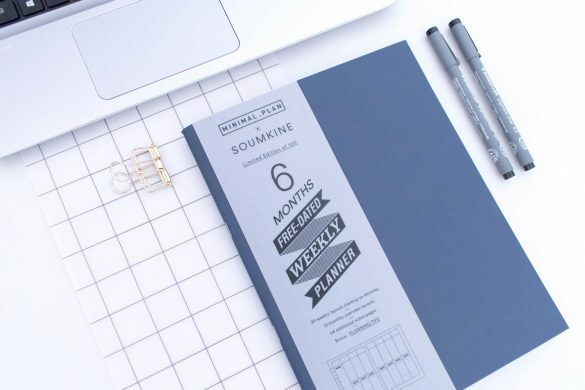 This pattern of buying, barely using, and abandoning planners lasted until I graduated university and moved to Hong Kong to work for a nonprofit. 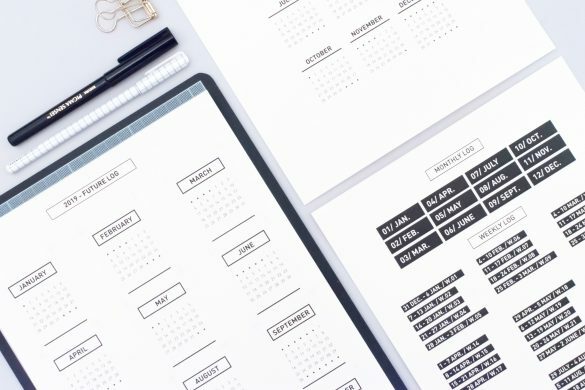 By the end of my first year living there, I was a frazzled mess, desperate to find a system that would help me get organized and accomplish my goals. 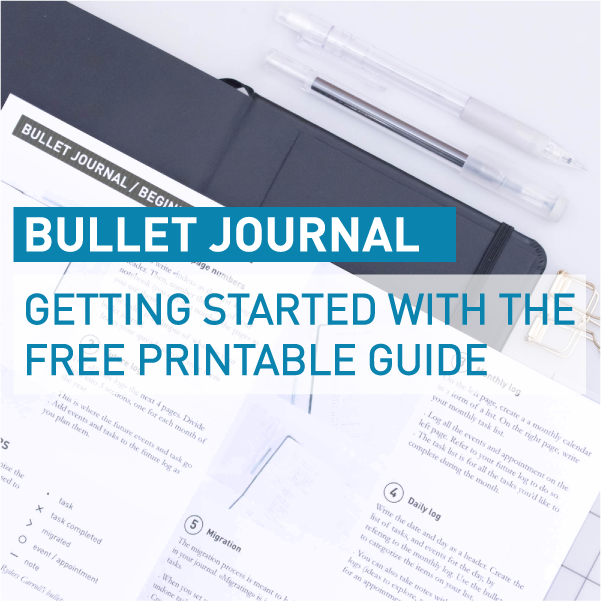 So in November of 2015, I did a Google search and I stumbled across a little website called bulletjournal.com that changed everything. By the end of that day, I had turned my then Muji Planner into a bullet journal that became my first in a series of too many to count. I plan mostly to discern my priorities. I have to admit this upfront: I’m not a purely analog planner. 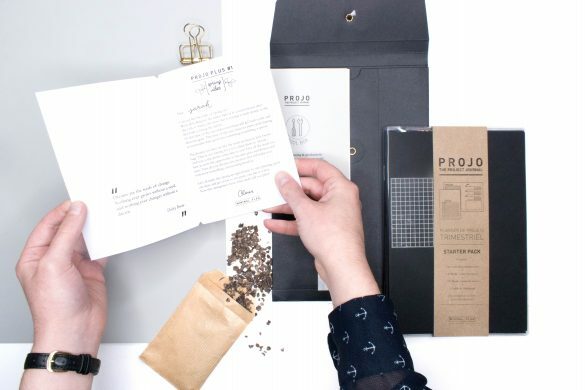 If something is more efficient and saves me time and headache in a digital format, I’m all for it. 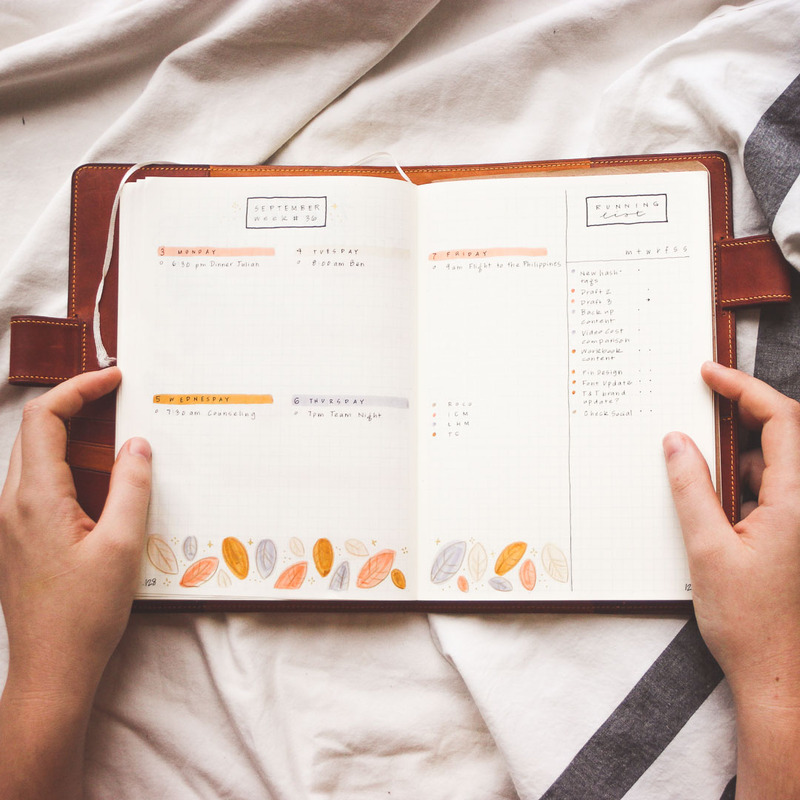 So to sum up what I use my bullet journal for, it’s this: to write my to-do’s and plans in a distraction-free environment, and to track any loose tasks in my head that don’t belong on my digital platforms. When it comes to digital tools, I use Asana to track client work (because I can invite clients to it and communicate through the tool), Habitica to track habits (because I need nerdy motivation to follow through on my commitments, and Google Calendar to store all of my events. 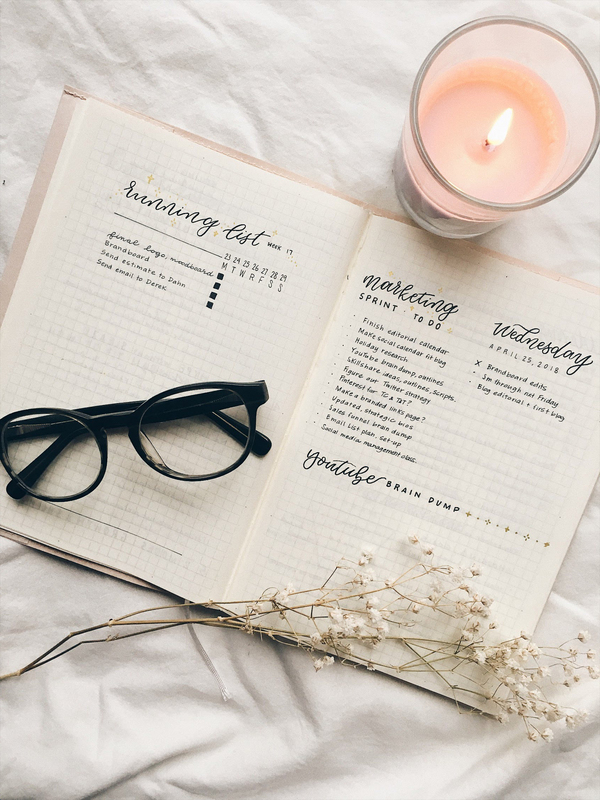 A weekly spread in Kelsey’s bullet journal. Asana: This is a project management tool I use for my clients. I can store project templates there, since I tend to do the same thing with different people. It’s also a way of not having to use 6 bullet journals a year. Google Calendar: I use Fantastical 2 on my iPhone and schedule tasks that way. I volunteer at my church and have a calendar that automatically updates me when I’m serving. I check my calendar every Sunday and fill out my journal, because I’ll remember my schedule better once I write it down. 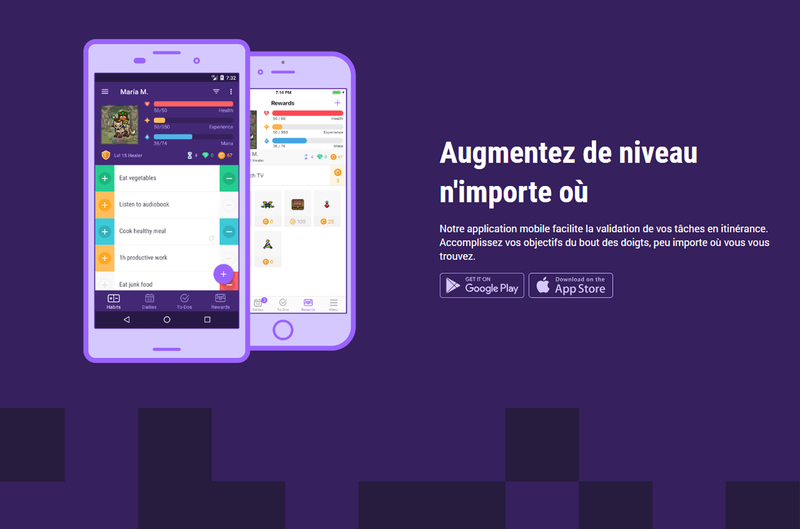 Habitica: I use Habitica for habits, which basically makes your life into a game. You join a party, go on quests, and defeat monsters. And you can only win a quest by completing your dailies, habits, and to-dos. I gave habit tracking an honest try in my bullet journal, but it never sticks, and this nerdy game thing works. So why not? 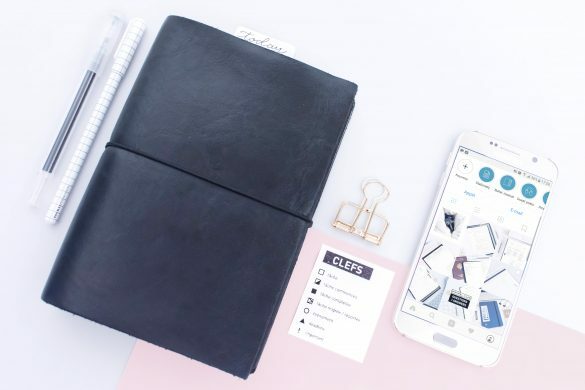 Ashley Gartland’s To-do List Method: I found Ashley on Instagram. 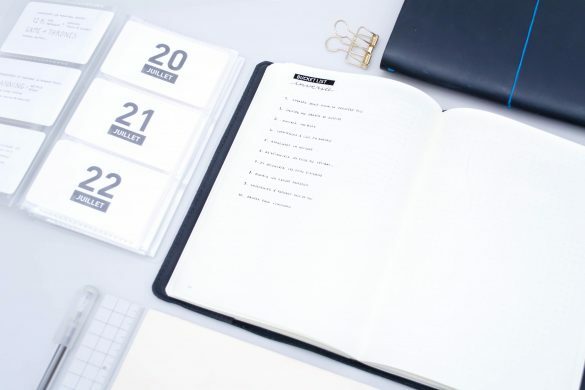 She’s a coach and a lover of simplicity, and her method for to-do lists is something I use A LOT in my bullet journal. Basically, it involves brain dumping, crossing off the things you simply don’t have time for, marking things you can delegate or automate, and circling 3-5 priorities. I do this activity whenever it feels like I’m not moving forward in my plans. Pomodoro Technique: When I feel unmotivated and have a lot of unenjoyable tasks ahead of me, I like to use pomodoros. These are (usually) 25 minute spurts of work followed by 5 minutes of rest. You can use a website like this one to track them, and you can customize them according to the times that work for you. For me, 50 minutes on and 15 minutes off works best. 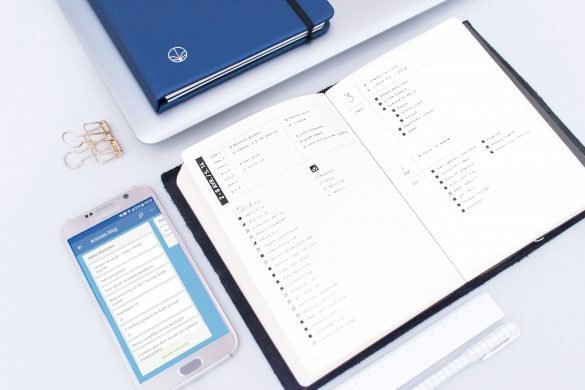 Running lists: This is just a type of list I use in my bullet journal. One column has all of your tasks, and the other has a column for the days of the week. You mark with a dot when you plan to do it, and you cross it off when you complete it. When dailies seem to out of reach for me, I’ll use a running list. And lately, I’ve incorporated one with my dailies. Collections: The rest of my bullet journal is just collections. This could be a client meeting, a wireframe / concept page, or a business brainstorm. I try my best to carefully index these to keep track. How do you make all these tools work together? 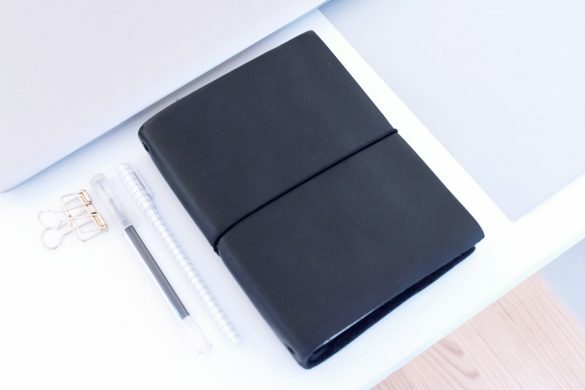 Bullet journal: plans, lists, dreams go here first. Overview of everything in my life. Habitica: pesky personal tasks or anything that I need to push myself to do. Google Calendar: contains synced calendars and every event that I need to remember. Copied into my bujo. Apple Notes: Any shared notes with my husband. He won’t look at my bullet journal, so I need to save reminders and things for us in a more convenient location. It works together because I have committed this system to memory and practice. For many people, analog is the only way to go. For others, like myself, you need a combination of tools to keep you as efficient as possible. My best advice if you’re struggling with what to do: Do what feels right and what helps you sort through life’s chaos. May the force be with you. 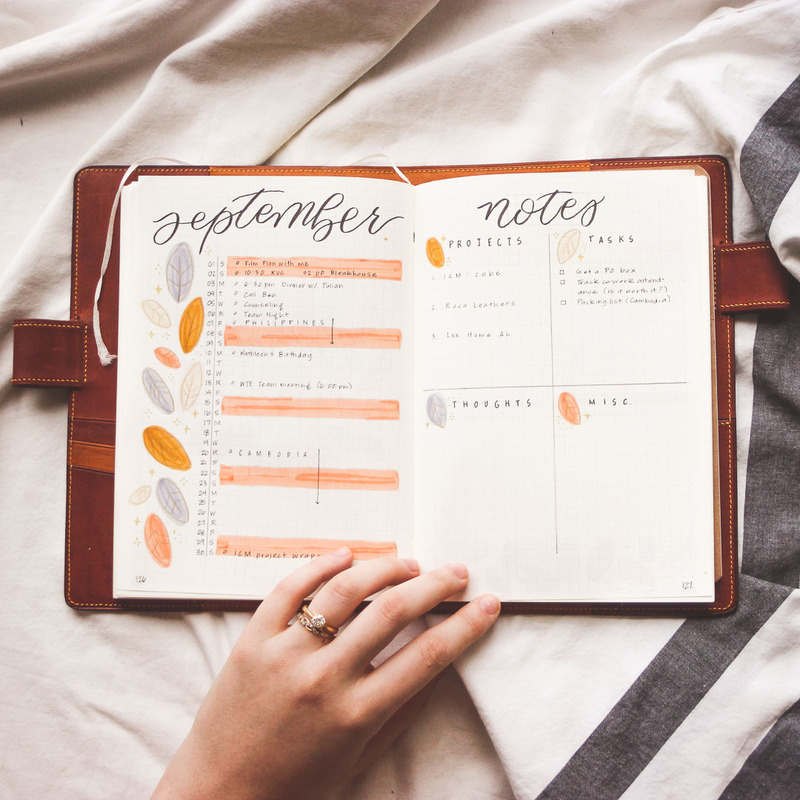 September monthly log in Kelsey’s bullet journal. 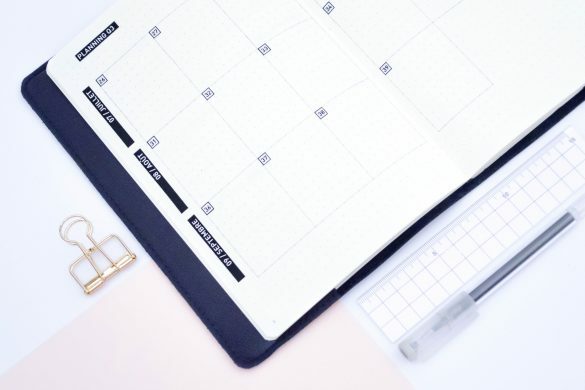 What is your planning routine? It’s funny that you ask this, because at the moment, I’m trying to rebuild a routine. There was a time in my life where I would wake up at 5:30am, drink my tea, and take a solid look at my plans before starting my day. These days, this is the closest I have to a routine. I draw my next week’s spread on Friday, and while I do that, I write down any loose thoughts, ideas, tasks, and events, and find places for them to live. If I’m lucky, I’ll spend time Sunday night reviewing my week, starring any priorities, and making sure my head is nice and empty (that way it’s ready to fill with creative ideas). My planning system has actually changed my life! Before I started planning intentionally, I would forget to turn things in, miss deadlines, and even skip out on important social meetings. I turned to Bullet Journal those few years ago because I was in quite a desperate situation. I had to-dos written in a million places and could never keep track. I can say that now, my life feels a lot more stable thanks to my planning system. I never have to remember where things are, because I’ve created a system that works for me, where the right things are in the right places. My current favorite planning tool is Habitica, the game/to-do crusher. I use this as a way of motivating myself to do otherwise boring activities. As someone with anxiety, I often need more motivation to do everyday activities, so this game helps. If you don’t complete your habits, you might lose a battle with a boss or get kicked out of your party. Do you have one (or several) planning gurus? Another one is setting priorities. Always use your best, freshest hours for the most creatively demanding and important work. Currently for me, I spend that time writing resources for my community at Tethered Creative. Just make sure you’re not spending your best hours in your inbox, because it will get you nowhere. I experience planning slumps a lot due to my anxiety disorder. My planning and organization tends to be a direct reflection of my mental state. The best thing I recommend for this (if you’re experiencing this due to similar reasons) is to get a mental health day where you can literally do anything you want. Sometimes, all you need is a long nap and a day spent doing things you love to find your spark again. Separate your tasks by category (work, personal, project-related, etc). Then they’re much easier to find and you don’t have to wonder if you’re getting to everything. Thank you so much for your answers Kelsey! If you want to see more of Kelsey’s work, check out her Instagram feed. And if you’d like to share your planning system & special hacks and get featured in The Planners series, just send me an email to claire[at]minimal-plan[dot]com. There’s absolutely no need to run an Instagram or YouTube channel to contribute!